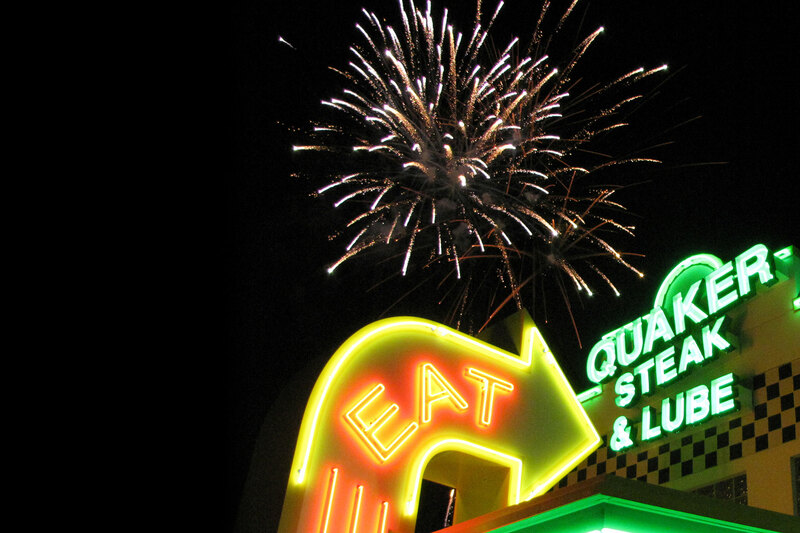 Just in time for patio season, Quaker Steak’s limited-time menu features five new flavor-stacked steakburgers. The line-up starts with a Baja Burger, topped with fresh and spicy south-of-the-border flavors. With continued international flair, the Reuben Burger — piled high with corned beef, Swiss cheese, crispy slaw and horseradish sauce, and the GTO Gyro Burger — topped with classic Greek beef and lamb, feta cheese and cool tzatziki sauce, will appeal to those with a heartier appetite. Rounding out the new burger features are the timeless Mushroom Swiss Burger and the savory BBQ O-String Burger. With seven USDA Choice ground steakburgers already offered on the all-day menu, the addition of these limited-time burgers presents guests with twelve burger builds to satisfy every taste and craving. New drinks on the all-day bar menu include the Southern Hurricane, a twist on the Bourbon Street classic; the Blood Orange ‘Rita, featuring the popular and intense raspberry-orange fruit flavor; the Jack Berry Smash; and two new mule drinks — the Tequila Mule and the Tennessee Mule. With continued growth in the mule category, Quaker Steak has strengthened its mule drink offering by featuring varieties made with bourbon, vodka, whiskey and tequila. Remaining on the beverage menu are many guest favorites, including tropical and frozen drinks, hand-crafted teas and lemonades, a variety of margaritas, and more.